No deluge can stop a JOIN Garden Party when it’s time to harvest garlic! Yesterday was harvest, and prep for zucchini and squash planting. It will be salad greens for breakfast, lunch, and dinner (admire those massive mustard greens)! 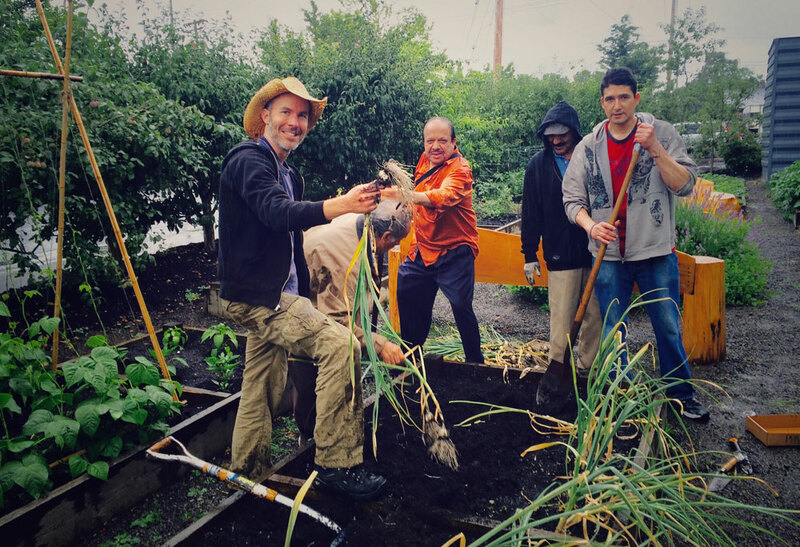 Our garden parties bring gardening’s therapeutic and nutritional benefits to our friends who may not have the resources or space a garden requires. Plus the raised beds and fruit trees double as a soothing green space outside our Day Space for all friends to enjoy. Green thumb awards to Outreach Worker Mike O’Malley, Retention Woker Gurney Kimberley, Tony, Alberto, Efrian, and Mike.